Be dazzled in exotic China when our Treasure World Tour stops there. Top-notch entertainment awaits you with a brand new 6-reel ‘All Ways Pays’ slot. 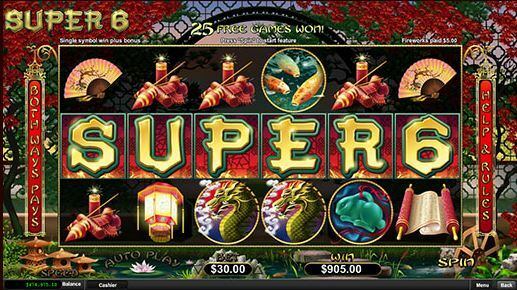 Super 6 takes you to an enthralling gaming environment, packed with beautiful designs – but where winnings come with ease. Search for the Chinese Fortune symbols including ancient scrolls, Koi fish, lanterns, dragons,and more to get mega grouped wilds and 5x prize multipliers !